Glass is a fascinating material for construction purposes, it is light to use and easy to handle. In fact, it is one of the most dominating building material in modern architecture because of its many optical as well as functional features. 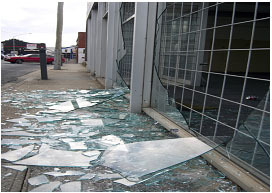 All this comes at the cost of its fragility, glass is also easily breakable and cannot resist external impact. However, Ecodrive window glass films apply that extra hardness and resilience to glass, turning your windows into steel. 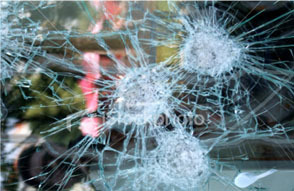 Our range of EcoShield Protective Window Glass Films are particularly designed to add a thin invisible shield to your glass to protect it against scratches, cracks, accidents, natural elements like wind, rain or earthquakes and also against break-ins, burglaries and even bomb blasts. These protective window glass films are chemically treated to bind together multiple layers of adhesives that strengthen the material, equipping them to guard against mild or high impact. EcoShield Clear Safety Films and EcoDeco Clear Security Films come in a variety of shade co-efficient to cater to your requirement – you can choose a completely clear, translucent or an opaquer film to control the amount of natural light entering through your windows. In addition to protecting your glass and house against extreme solar energy, it also reduces your electricity bills and helps you control your indoor temperature. Install Ecodrive window glass films and experience the difference – an energy efficient and cost effective alternative that maintains your privacy and the elegance of your décor. Ecodrive window glass films are easy to install, durable and come with a solid warranty of up to 15 years. Get in touch with our Ecodrive window glass film professional for a consultation today to find out which sun control window film is best suited for your requirements. 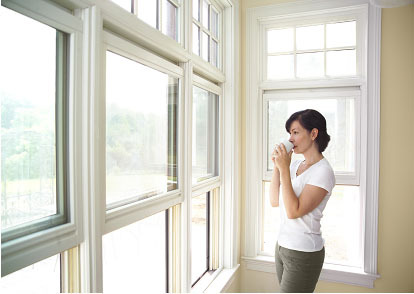 Available in clear invisible tints that form a penetration-resistant protective shield. 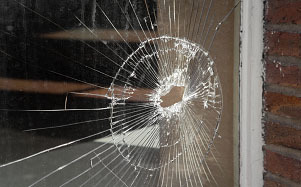 Helping keep glass in place in the event of shattering. Block up to 99% of the sun’s rays that fade carpets and upholstery, thereby providing fade reduction, as well as protection from harmful ultra-violet rays.